Shorts and swimsuit season is just around the corner, and we want you feeling fantastic and confident by the time you hit the beach. Who needs a cover-up when you have the Sisterhood? WE’VE got you covered with our awesome new challenges! Place a bet on yourself! Lose weight with our March Madness 28-Day DietBet – lose 4% or more of your total body weight within those 4 weeks, and you will WIN a share of the total pot. You can use your cash winnings to reward yourself for all of your hard work this month! We also have a closed group for all of our DietBetters – it’s a great way to make friends who have the same goals as you! Join our KREW. On top of helping you stay accountable, we offer a closed support group for our KREW members! It’s a great, confidential place for encouragement and support! We are hosting two FitBets, which start TODAY! How do you join? First, join our KrowdFit KREW. Second, click on FitBets, and JOIN both – activity and steps. It’s free to join, and we are offering a $100 prize to each winner! To be eligible to win the ACTIVITY FitBet, you must average 30 minutes of exercise a day throughout March. Read, average. So if you miss a day, it’s no biggie. Just make it up with another workout! 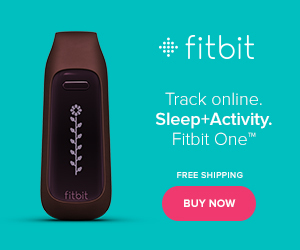 The STEPS FitBet will encourage you to average 10,000 steps daily. Again, you can have less one day and more another, you just need to balance it all out! All Sisterhood KREW members who achieve these goals at the end of March will be in the drawing for the $100 prizes! Print out our March Madness Fitness Bracket and get to work! We’ve got 8 movements for you – and how you fill out your bracket is up to you! But, be careful! You might end up doing 200 burpees at the end of the month if you don’t plan your bracket right! Click the graphic for full instructions and a printable bracket! Follow along with hashtag #SJMarchMadness. Maybe these exercises aren’t for you? We have a full library of free workout calendars for you to choose from. 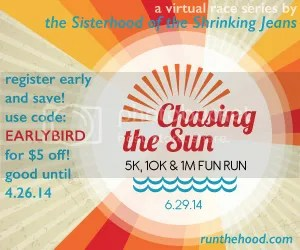 Register for our 5K/10K/Mile Run & Walk! We’ve been putting on great events since 2011! We have the coolest, softest race tees around, awesome customized medals, PLUS we deliver straight to your doorstep the week before the race! With each race, we choose a charity to donate a portion of the proceeds to – this time around ALL proceeds will be benefiting Sisterhood co-Founder, Melissa, and her family in their “surprise” adoption of a beautiful baby boy! Registration closes March 20th! What are your goals for March? What challenges will you be participating in? hi, thanks for this wonderful article. I’ve been trying to lose weight for about 9 months and I’ve come to the conclusion that it all depends on eating right. I found this video that gave me a good diet plan, and I actually lost 18 pounds. All I did was follow the plan completely. If you want to watch the video, here’s the link: https://www.youtube.com/watch?v=CFTR8xetNu4 I hope this can motivate people to lose some weight. Good luck!